RV vacationers in Florida can choose from several beachfront options. Beachfront RV parks in Florida are ideal for campers who seek affordable comfort and proximity to the surf, sand, water sports and other activities. If you want a reprieve from the beaches, you can take time out for shopping, dining or seeing the sites nearby. The Navarre Beach Campground features 135 full hookup sites and 50 pull-through sites, all with patios and picnic tables. Cable television and wireless Internet access are free. On-site features include a propane filling station, restrooms, showers, laundry facilities, a fitness center, a playground, recreation and game area, fishing pier and convenience and supply store. Campground staff also hosts daily get-togethers and activities. If you're ready for time away from swimming in the Santa Rosa Sound, fishing off the campground pier or playing and relaxing on the beach, you can take a trip to the zoo in Gulf Breeze, the Panhandle Pioneer Settlement or the Indian Temple Mound Museum . The Bryn Mawr Ocean Resort in St. Augustine provides full hookups, a swimming pool, tennis courts, restroom and shower and laundry facilities. The St. Augustine area boasts numerous beaches. St. Augustine Beach provides a playground, pavilion, fishing pier, volleyball courts and several fine restaurants. The Anastasia State Recreation Park is a 1,700-acre protected bird sanctuary with lifeguard-attended beaches, hiking and nature trails. Crescent Beach, in a scenic wildlife preserve, offers boating, diving and fishing. Red Coconut RV Resort on Fort Myers Beach provides 450 feet of beachfront, full hookup sites, cable television, laundry facilities, shuffleboard and a recreation building. Many golf courses, museums and gardens are in the area, and you can also rent jet skis, para-sailing equipment and other water vehicles at several locations along the beach. Fort Myers Beach hosts an annual weeklong shrimp festival in February or March. The event begins with a 5K run and parade and ends with the crowning of a shrimp festival queen. The grand finale is a shrimp dinner served by the Lions Club. Boyd's Key West Campground features full 30- and 50-amp electric hookups that include cable television. The property offers direct beach access, a heated swimming pool, a poolside tiki hut with big-screen TV, four bath houses, laundry facilities, dishwashing stations, picnic tables, a boat ramp and docks, a convenience store and a game room. Free Internet access and security are provided around the clock. 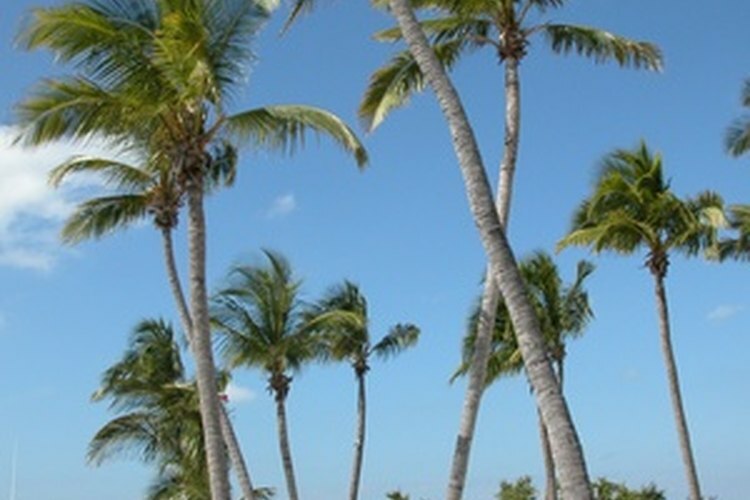 Guests can partake in snorkeling and wreck diving from Key West's offshore reefs, jet-skiing, para-sailing, kite-boarding and golfing at the Key West Golf Club, designed by Rees Jones. Most RV parks offer daily, weekly and/or monthly rates. Daily rates range from $29 to $155 (as of August, 2010) per RV site.